So thoughtful! 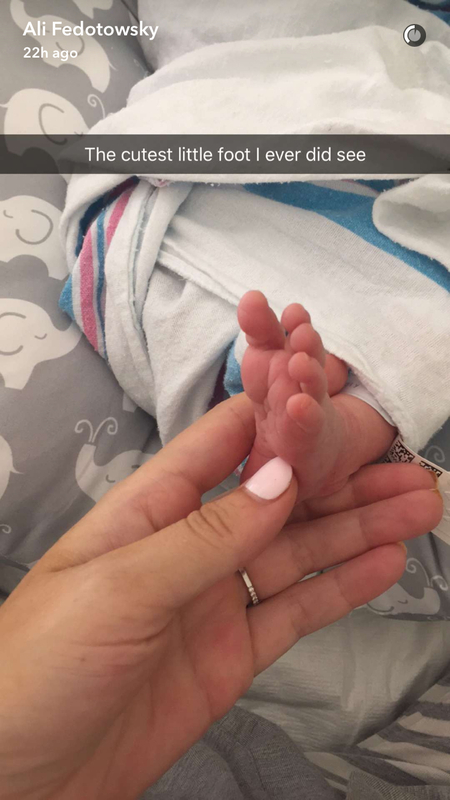 Ali Fedotowsky’s fiancé, Kevin Manno, gifted her with a sweet push present after she gave birth to their daughter, Molly, on Wednesday, July 6. The radio DJ, 33, gave the Bachelor alum, 31, a rose-gold bar necklace with their daughter’s name on it. 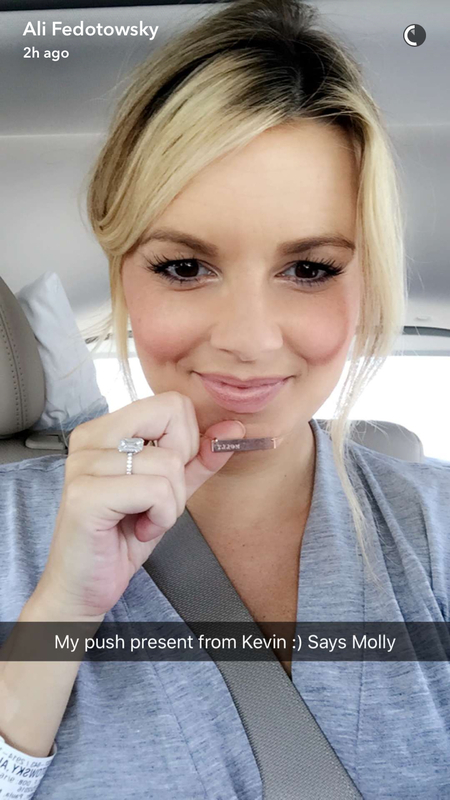 “My push present from Kevin 🙂 Says Molly,” the new mom shared on Snapchat on Friday, July 6. The first-time parents also documented their drive home from the hospital with baby Molly on Friday. 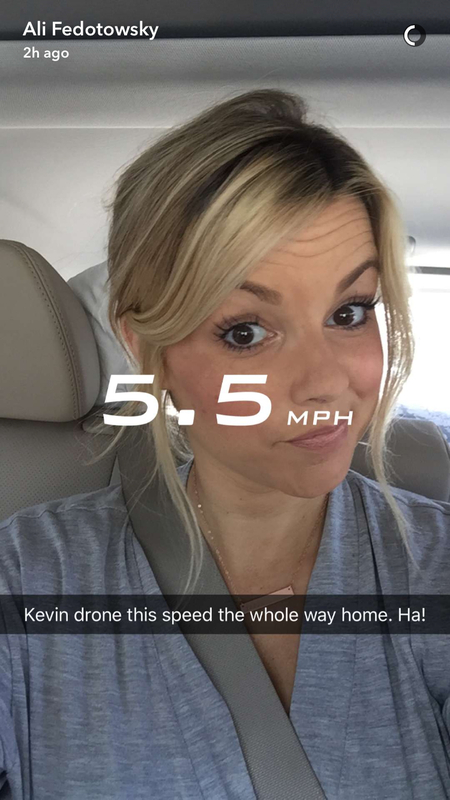 In a series of Snapchat videos, Fedotowsky poked fun at her fiancé for driving “5.5 MPH” the whole way home. The season 6 Bachelorette and Manno exclusively confirmed the arrival of their daughter with Us Weekly. Molly was born at 8:22 a.m. on Wednesday, July 6, and weighed in at 7 pounds, 6 ounces, and measured 22 inches. "This little angel is not even a day old and is already our entire world," Fedotowsky told Us in a statement. "Molly Sullivan is named after two very important women in our lives. My late grandmother, Molly Fedotowsky, and Kevin&apos;s late grandmother, Eva Sullivan, will both live on in our little girl." The couple announced their engagement on Instagram in September 2015. They recently canceled their wedding plans in Mexico due to Zika virus risks.